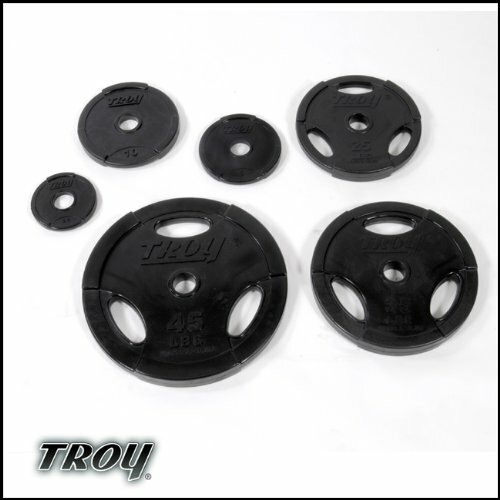 Our TROY premium grade rubber encased ?Quiet Iron EZ-lift? plate is one of the top plates on the market today. Not only does it protect floors and equipment, the interlocking feature allows the user to load more plates onto machines and bars to maximize workouts. These Olympic GO-R plates also maintain a 2% accuracy level, plus or minus. Include holes for easy gripping!